The perfect way to spread the baby news! 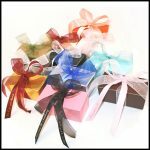 Our “It’s A” Cards come in either Milk, Dark or White chocolate in a white window box. Whether you want to say, “It’s A Boy” or “It’s A Girl,” our cleverly designed boxes also hold a spot to attach your business card, or a short message on the back, should you find the need. 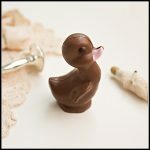 Perfect as a congratulatory gift for the new parents or tie it to a gift for the new little one!